One of the challenges in Fortnite week 10 of Season 7 requires you to visit all expedition outposts and as a reward you'll get more Battle-Stars. 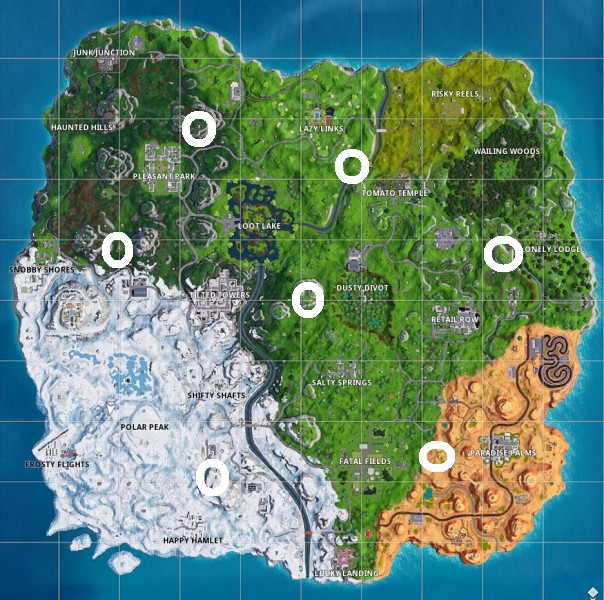 There are only seven outposts on the map, so you will have to visit them all to complete this challenge. The easiest method is to land at the nearest outpost and take one of the planes parked in front, and to take a turn of the map passing in a razor-high above other outposts. If you go down quite low with your plane you will not even need to leave your plane and touch the ground so that the outpost is accounting. If you are unsuccessful before making your turn on the map, then you’ll not need to start from the beginning because the outposts already counted are saved.